Mercedes-Benz S-Class Cabriolet Performance, Engine, Ride, Handling | What Car? 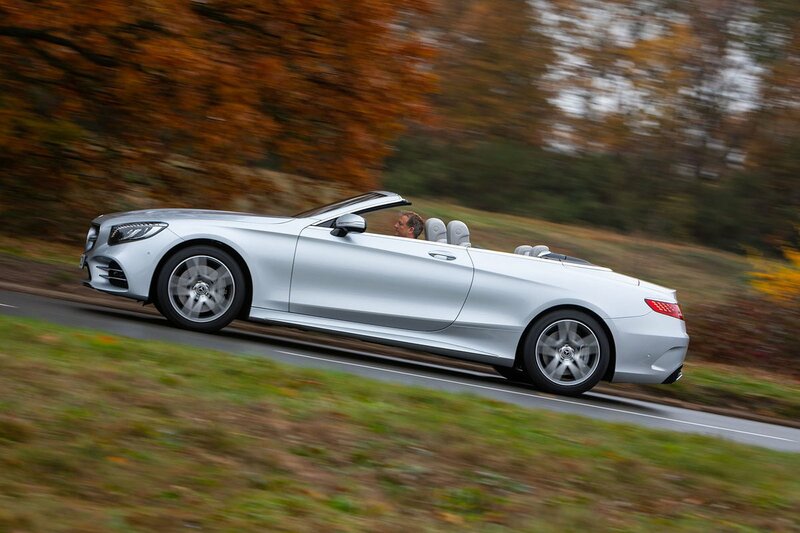 There's certainly nothing entry-level about the S 560’s V8 engine. It plays the hushed cruiser brilliantly, but wake it up with a prod of the accelerator and it changes character immediately – it is after all the same engine that is found in the monstrously quick C63 AMG. 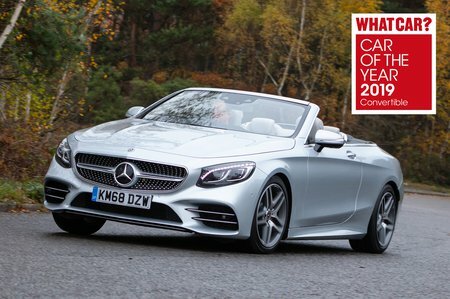 Mercedes' nine-speed automatic gearbox is intelligent enough to rely on the 560’s massive low-down pulling power rather than change down when accelerating, although switching to Sport mode encourages it to use more revs in a lower gear. In Sport, accelerator response is improved, too, and the 560 will do 0-62mph in just 4.6 sec. 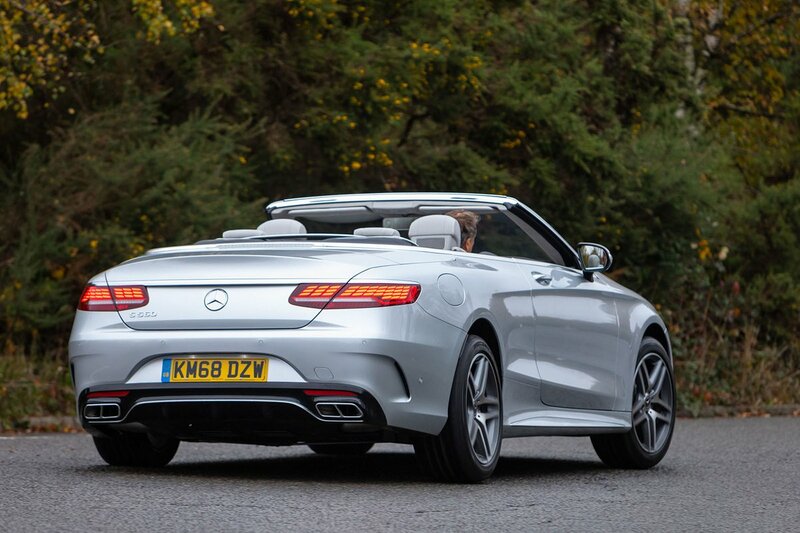 Sure, the Cabriolet weighs 75kg more than the Coupé, but you'll never be able to tell. Sport mode also adds weight to the steering and stiffens the 560’s standard air suspension, and the 2150kg Cabriolet's ability to deal with corners comes as much of a shock as its 0-62mph time. The steering is a touch heavy in Sport, but the way the 560 maintains a level body in the turns and feels eager to change direction makes it far more fun to drive than you might expect. Don't get us wrong – you always feel how heavy this car is and it’s happiest at a stately cruise, but is far better disposed to spirited driving than such a big car has any right to be. Or, you can switch to Comfort mode and allow the suspension to breathe, the steering to slacken slightly and the exhaust to become more muted. In this state its ride quality is impressive, with very little evidence that you're sitting in a less-rigid open-top. Large speed bumps are soaked up easily and without too much pitch and dive from the body, while typically scruffy British road surfaces glide beneath the car with only a subtle, easily ignored shiver. It's only over sharp-edged potholes, particularly when cornering, that you feel a heavy thunk and shudder and a touch of body flex; otherwise the S 560 Cabriolet is a slick, indulgently comfortable thing. Roof up, this is about the quietest convertible on sale, with hardly any road or wind noise, even on the motorway. The engine is millpond-smooth at all revs, too, and barely audible at a cruise. We’re yet to try the super-fast V8 S 63 or V12 S 65 variants, which get a different, more aggressive suspension set-up by AMG. Dropping any S-Class Cabriolet’s roof takes round 20 seconds at speeds of up to 30mph, and the experience doesn't get much less refined. Windows up and standard electronic wind deflector in place, there's very little buffeting at any speed, and Mercedes' standard neck-warming Airscarf feature is a welcome addition. However, those in the back will feel quite blown about at anything more than urban speeds, despite the presence of a front deflector mounted on top of the windscreen to help protect rear passengers.